The Valley of the Sun chapter of the Society of Professional Journalists invites Valley media to its annual summer mixer (and 5 minutes of chapter officer elections), “Cool Brew & Hot Networking” coincides (reasonably) with the Summer Solstice, the longest (and arguably one of the hottest) days of the year. First round of appetizers is on the chapter. Each year, our tradition is to take five minutes to elect new SPJ officers and wrap a couple of hours of socializing, food and beer around it. So once again, the Valley of the Sun SPJ chapter holds its annual meeting and mostly social event at the SunUp Brewing Co., 322 E. Camelback (click for map), just a short walk from the Central Avenue/Camelback Road light rail line, 5:30 to 7:30 p.m. Thursday, June 26. Members and nonmembers are welcome. The chapter will pick up the first round of appetizers. 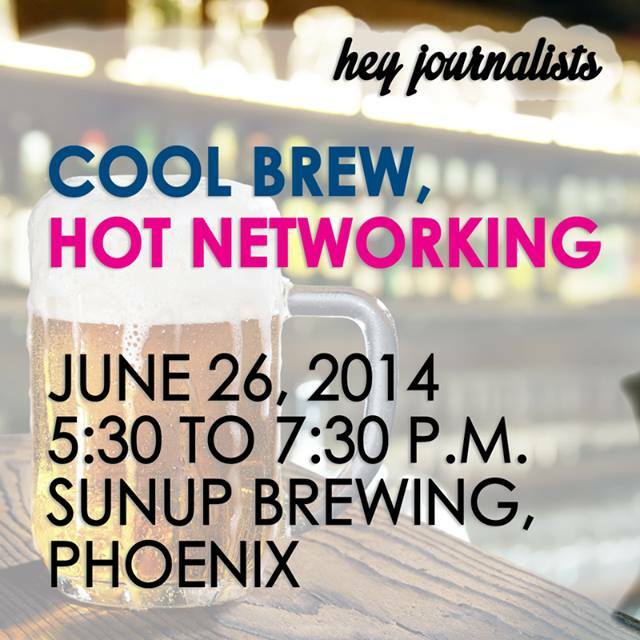 Come and cool off with a variety of on-the-premises-brewed beers and meet fellow journalists from around the Valley.